helps act as a lactic acid buffer during intense training. Who can use BCAA with Beta-alanine? which can be consumed before, during and after exercise.Intake of beta-alanine may lead to tingling sensation in the skin, which tends to subside overtime. To avoid/minimize tingling sensation, sip slowly rather than drinking a large quantity at a time. SKU: SMJJoesaminos. 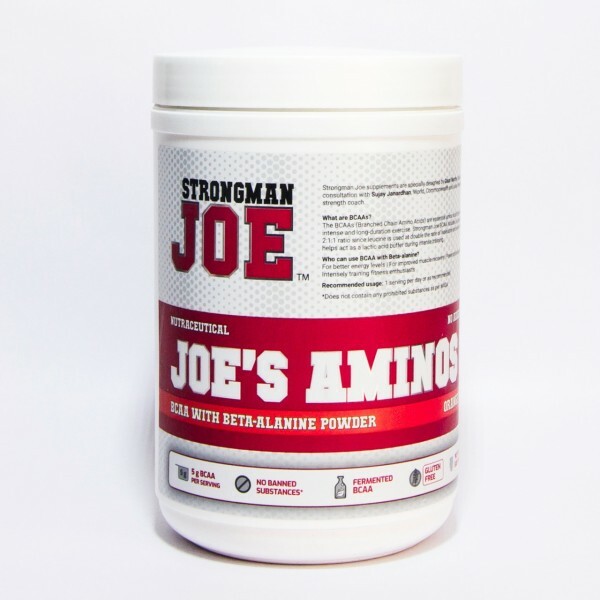 Categories: Aminos, BCAA(Branched Chain Amino Acids), Sports Nutrition. 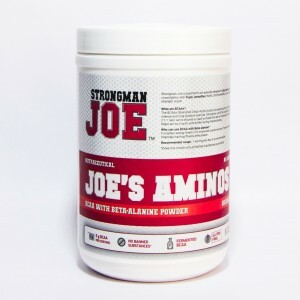 Tags: Cycling, Endurance, Energy, Fat Loss / Weight Loss, Lean & Toned Body, Marathon, Muscle Building / Lean Muscle Gain, Post-workout, Pre-workout, Recovery, Sports Performance, STRONGMAN JOE India.